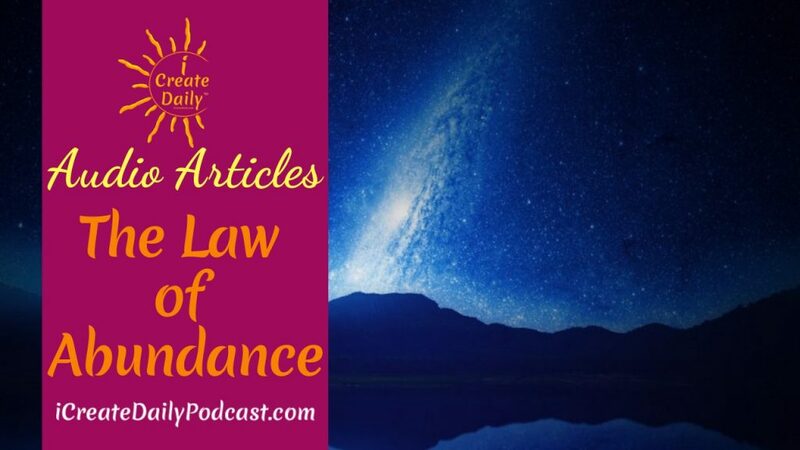 We’ve all heard of the Law of Abundance concepts popularized in recent times by law of attraction books like The Secret. Earlier in the last century, it was Think and Grow Rich, by Napoleon Hill and also As a Man Thinketh, by James Allen. Both were landmark books in the New Age, New Thought and Personal Transformation movements. Still immensely popular today, especially amongst entrepreneurs, these books of vision, self-encouragement and self-responsibility strike a chord and have inspired many. If the Law of Abundance is the vehicle, daily creating is the engine to get you where you want to go. Success requires vision and action in balance.